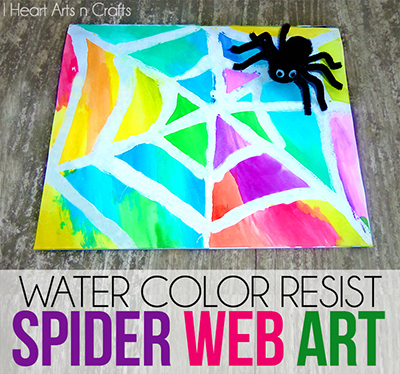 After our spider web Halloween craft from the other week, the kids have been asking for another watercolor project to do. Being that the kids (my newphews and my son) range from 2-7 I wanted to do something that everyone could enjoy. 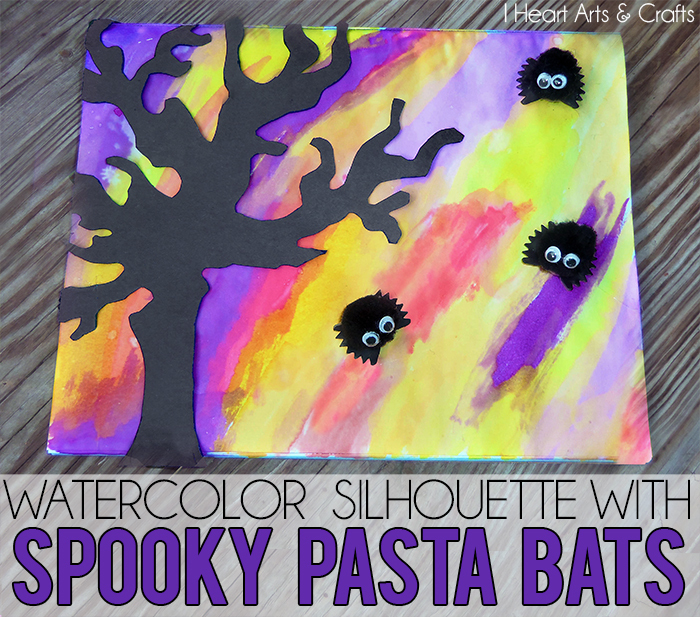 Which is why we came up with a watercolor silhouette craft with spooky pasta bats! 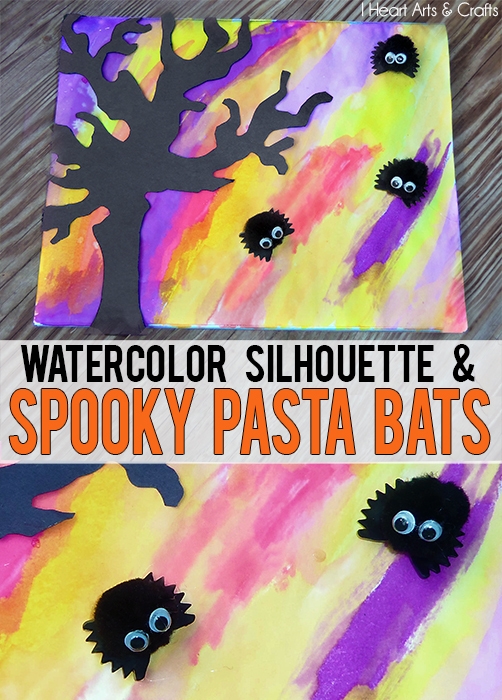 The older kids handled the water-coloring while my two year old tackled painting the pasta bats! First the kids painted a watercolor background covering the whole sheet of paper. Next I drew a spooky tree silhouette on black construction paper and then cut it out. 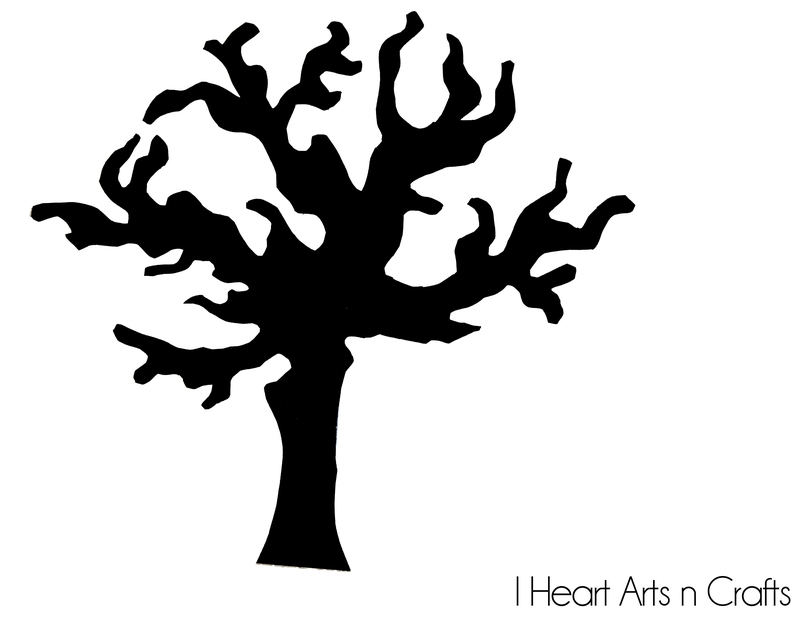 If you don’t want to draw your own you can download the free tree silhouette stencil here. Next you’ll paint your bowtie pasta black, once the paint dries you can add the pom pom ball and googly eyes. When the watercolors were finished drying we glued the spooky tree silhouette and trimmed around the edges that hung off the sides. Finally, we added our pasta bats to the painting for the finishing touch. And there you have it! A super easy Halloween craft for the kids! 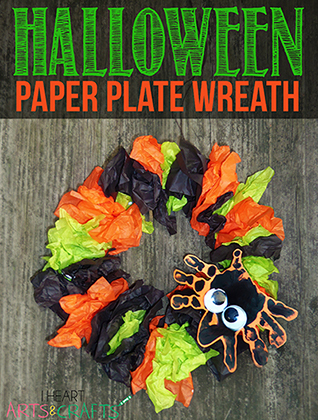 Don’t forget to pin it and follow our Halloween board for tons of toddler and preschool crafts! 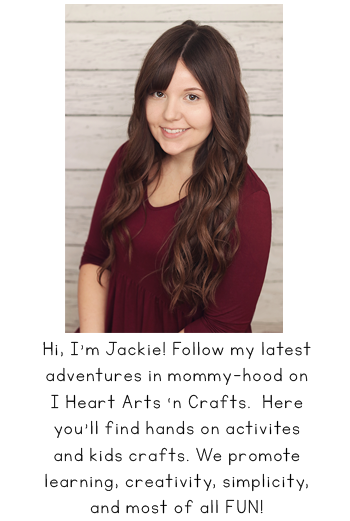 Follow Jackie | I Heart Arts N Crafts’s board Holiday | Fall, Halloween, & Thanksgiving on Pinterest. I LOVE this! What an amazingly fun piece of Halloween art!!! This looks absolutely gorgeous! Love the cute pasta bats. Thanks for sharing on our Facebook share day, I LOVE how cool this is! 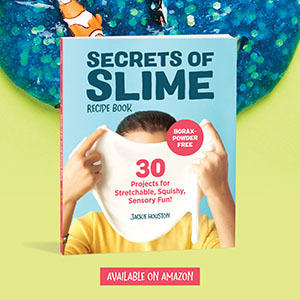 The kiddos will love some fun and spooky Halloween artwork. this is too cute and and i love your mixture of media -can’t wait to do this with my class and grandchildren.